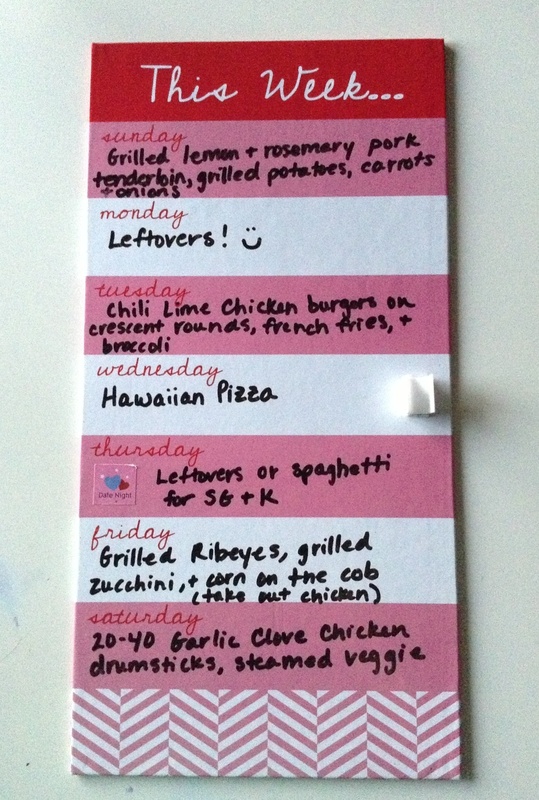 Pinterest Win: I Made My Own Magnetic Menu Board! I’ve mentioned a few times that I’m a pinning fool. 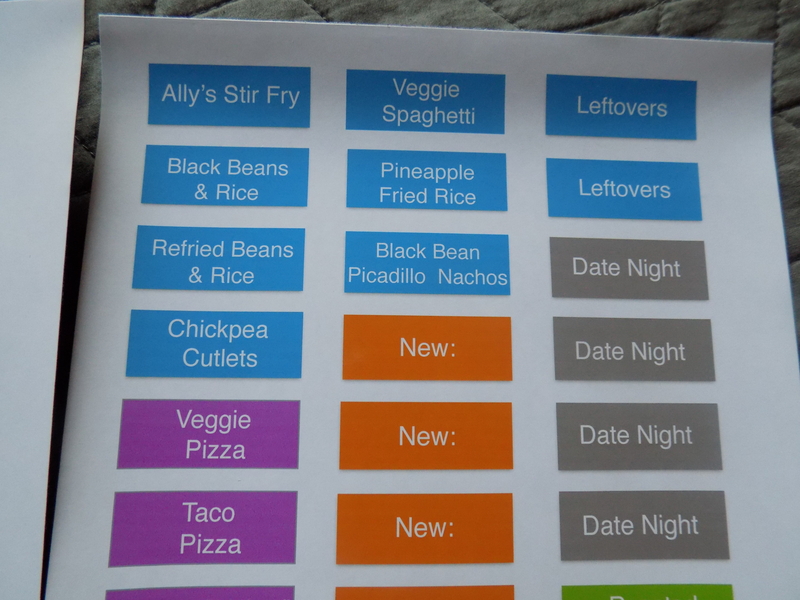 I also LOVE to menu plan. Then sometime early this year I came across this on Pinterest. It is from I Heart Organizing. She was highlighting a project from the blog The Homes I Have Made. 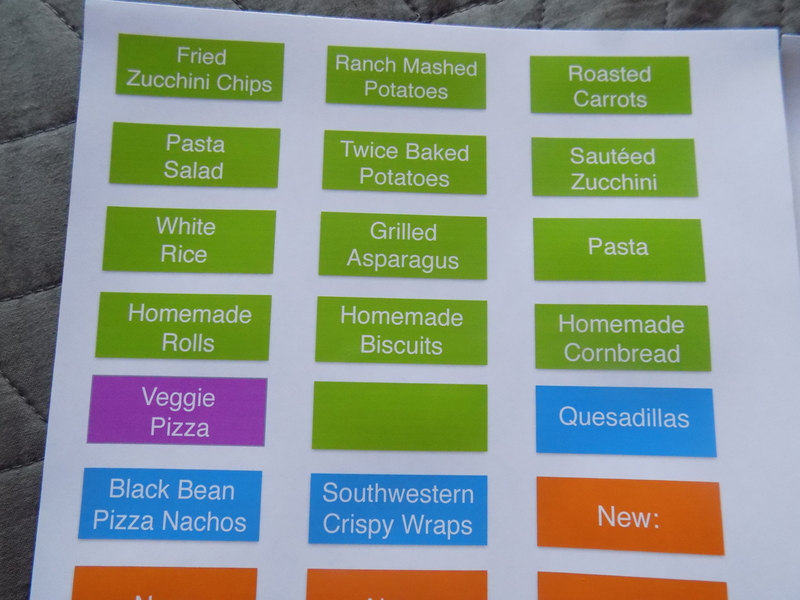 A magnetic menu board! Seriously, y’all, I think I might have drooled when I clinked on the link and saw the menu board. 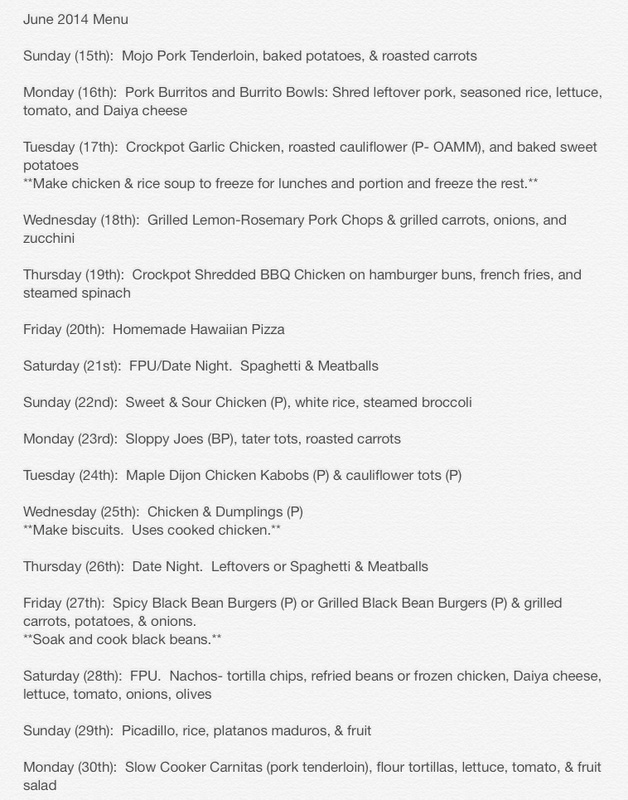 Obviously, I’ve tried LOTS of ways to organize my menu planning. All have been good, but I kept trying new ways. But this… this was a thing of beauty! I couldn’t believe the magnetic board was on clearance at Target. That was a major score! I think it cost around $22 for both the board and paper. 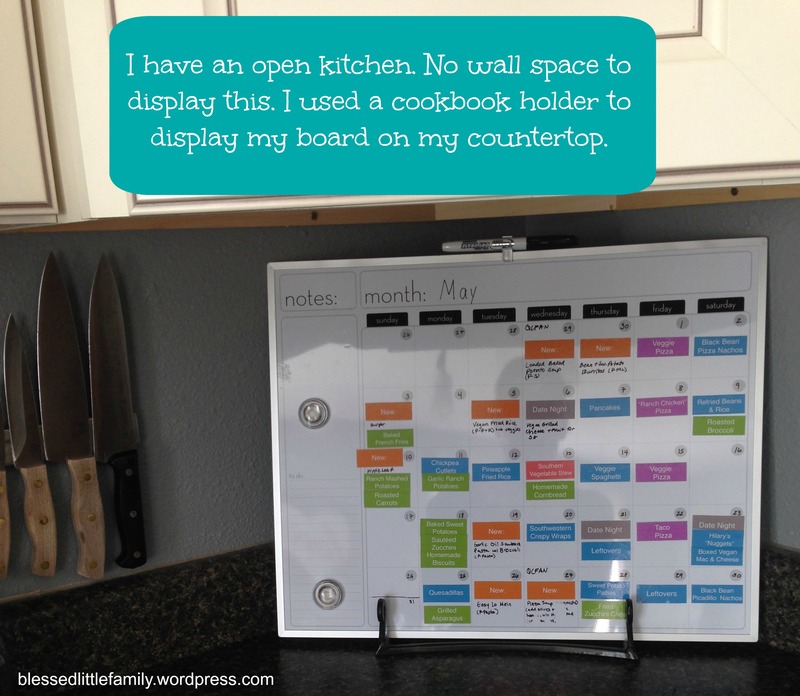 You can visit any of the above linked blogs to see how they made their magnetic menu planning boards. The first step was compiling all of our favorite recipes. 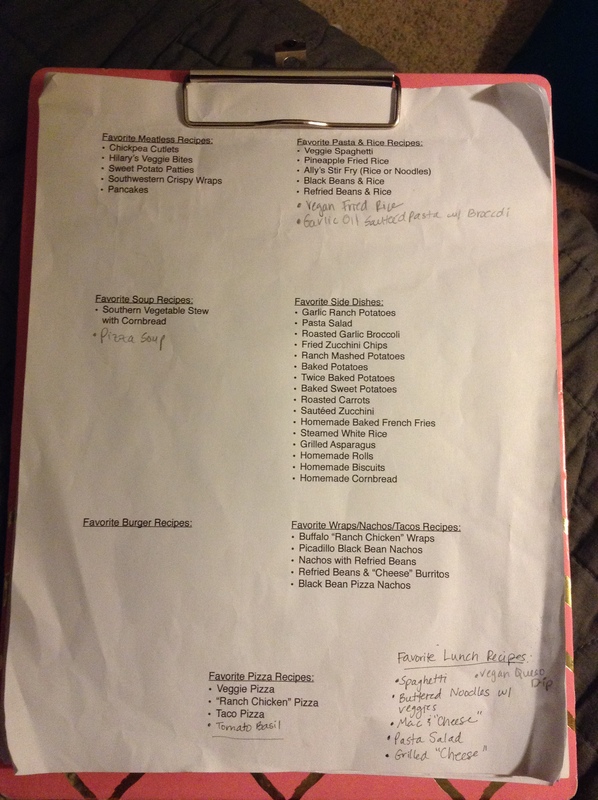 See the pic below of the clipboard to see my list of our favorite recipes. I used “Pages” with my MacBook and played around with rectangular shapes. I printed rectangles, cut them out, held them in a menu board square, adjusted the rectangle size and tried again until I had the right size. I picked colors that I liked. I typed in our favorite recipes in white letters. Then I printed that bad boy and held my breath. My cheap little ink jet printer did awesome! It took the sheet through completely one time before printing it. It did that both times. But then it printed it beautifully the second go round. 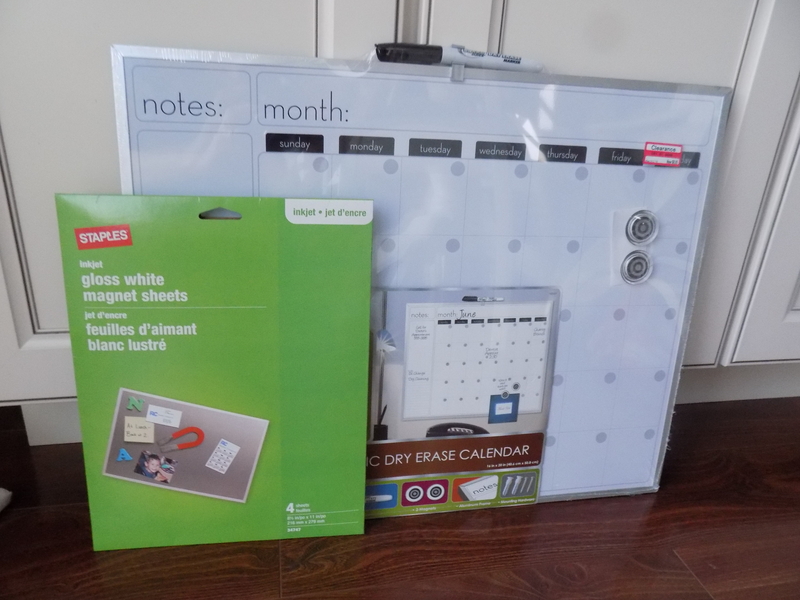 I have to admit… when the magnetic sheet came out I was as giddy as a child. I think I even danced my way to our bedroom to show the Huzz. Even he loved the magnets. Our little printer made us proud. Then, I lovingly placed each one according to my written menu plan. And then I just stared at it in awe. I can’t believe I made this, y’all! I. am. not. crafty. I do sit down and write out our menu plan. 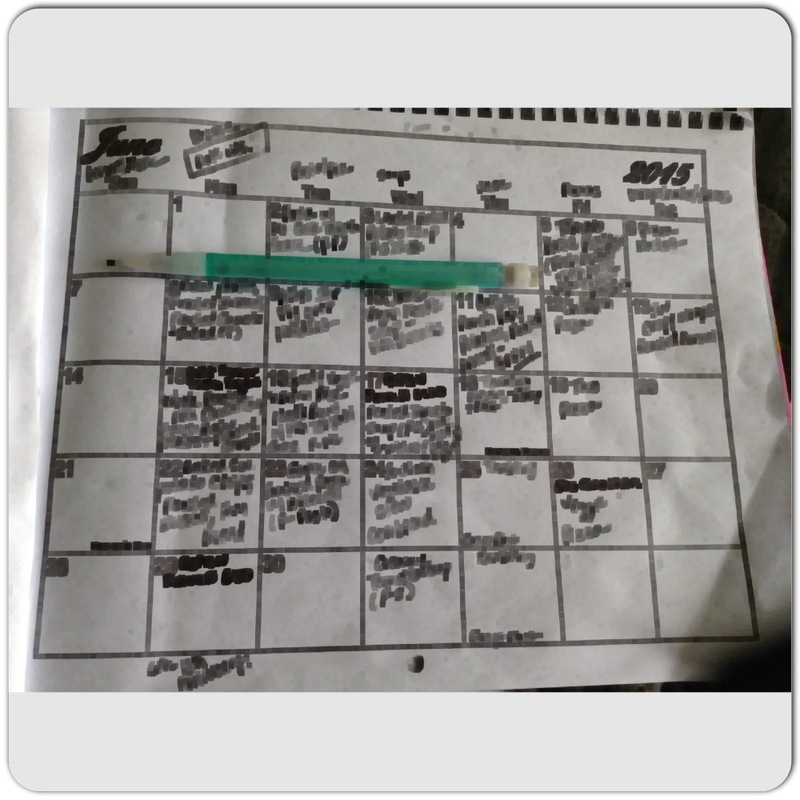 I photocopy our big calendar and then with a pencil, plan our meals. I plan a month at a time. I do it slowly- not all at once. When I have time, I sit down and grab my clipboard. I keep the photocopied next month’s calendar on my clipboard with a pencil attached. I grab my iPad, my list of favorite recipes, get on Pinterest for new recipes and plan away. 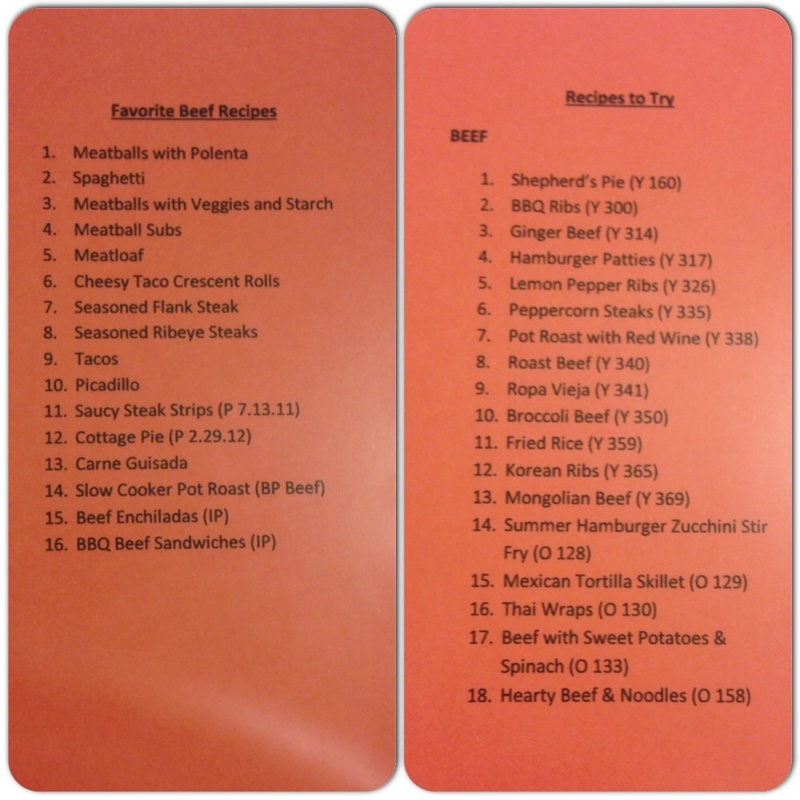 My Favorite Recipes List. 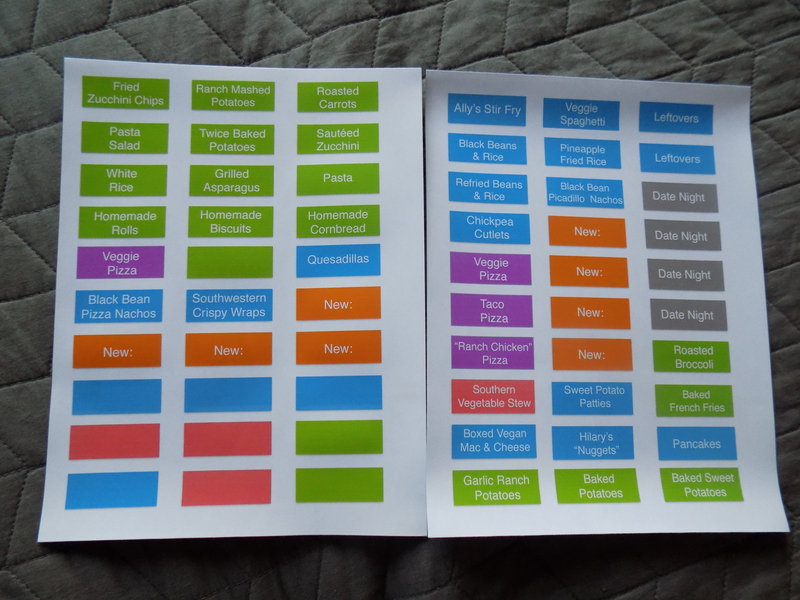 I add new favorites & use this to help me menu plan. 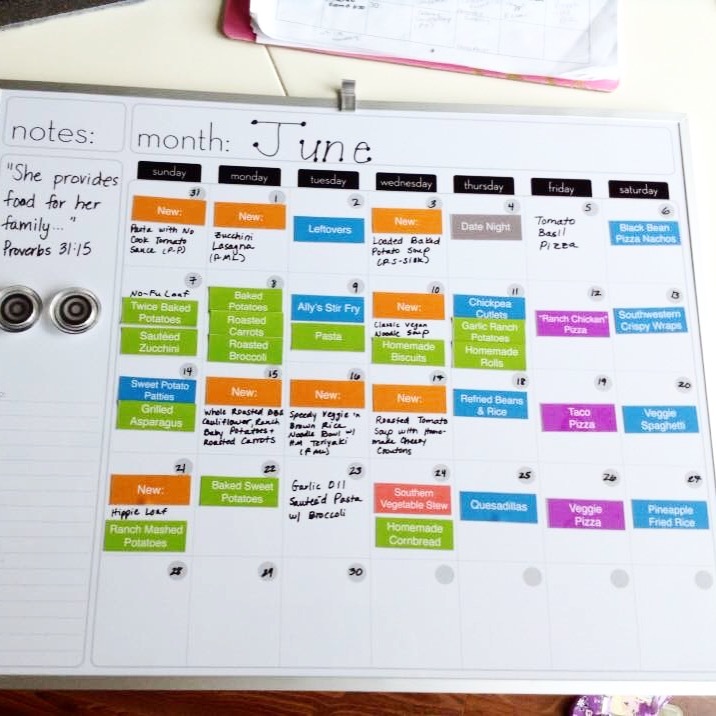 Yesterday, I had almost the entire month of June planned on paper. However, I was just stumped for a few dinners. I took the magnets down from May, organized them according to color, and placed what was planned on the board. The best part? 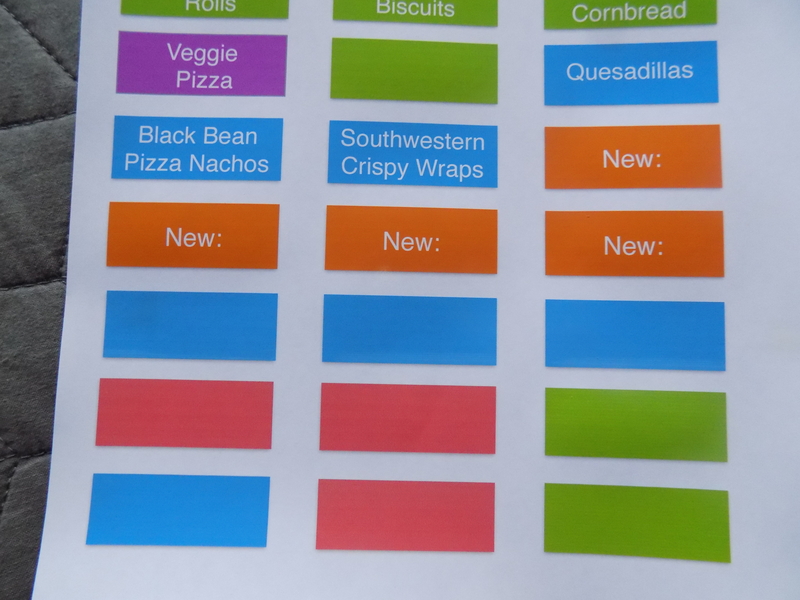 The blanks in my menu plan were easily filled with the remaining magnets. 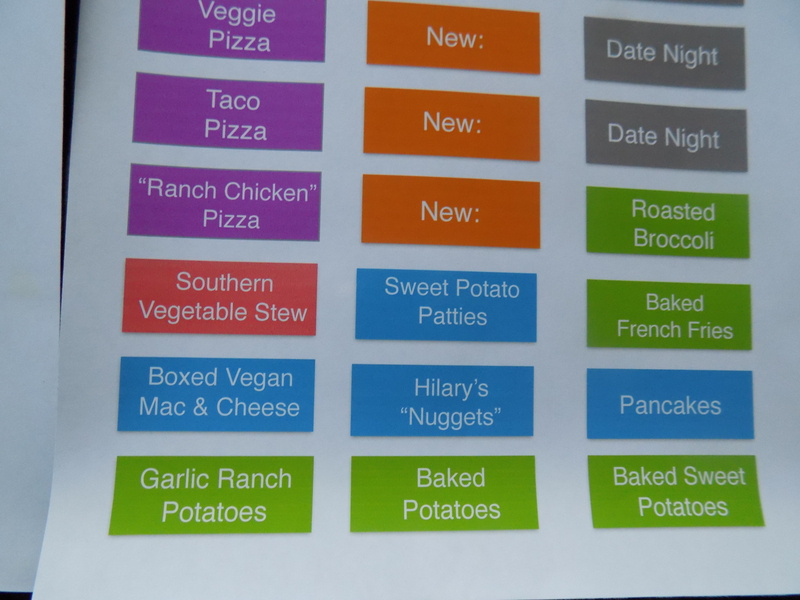 Y’all… I just picked up magnets and finished my menu planning that way. Easy peasy! I printed 2 sheets. 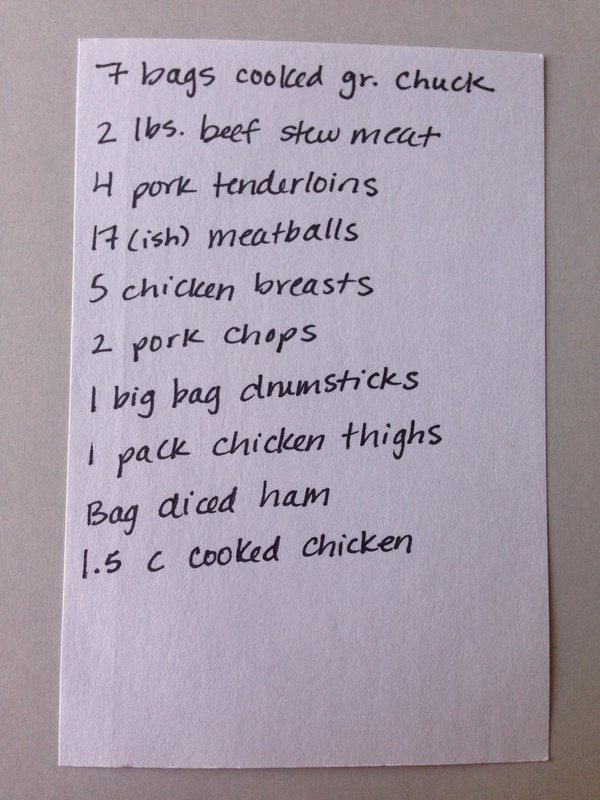 I added some blanks to handwrite new favorite recipes. I found this in the Dollar Spot at Target. 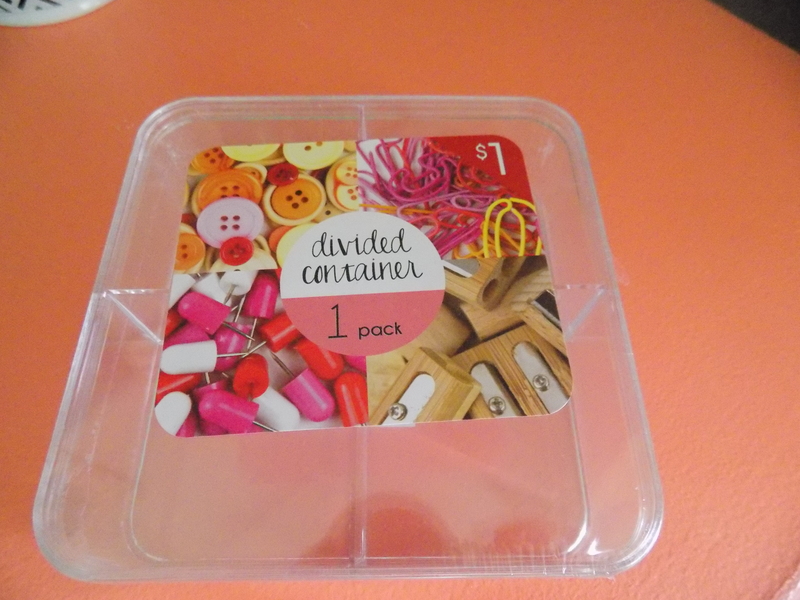 It’s perfect storage for my extra magnets. My magnets not in use live in this container. 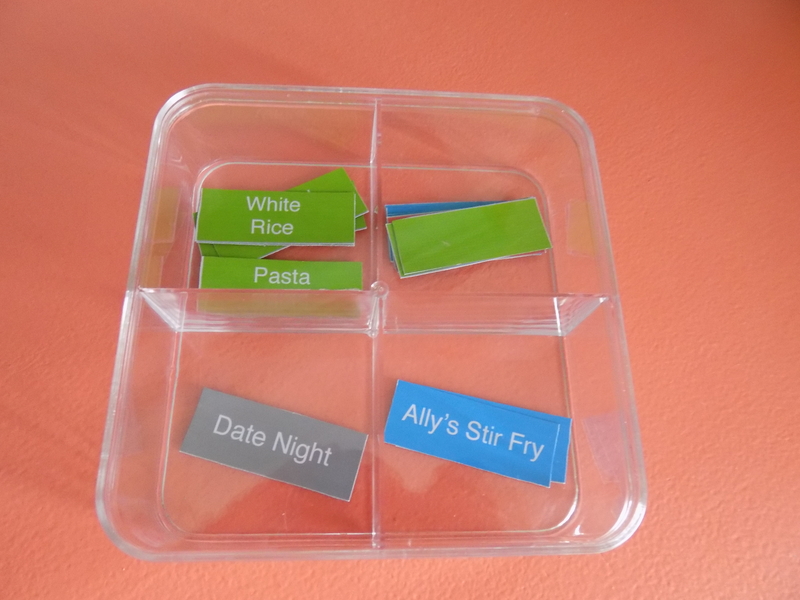 Do you think you’ll make a magnetic menu board? I’m so glad I tried and succeeded!